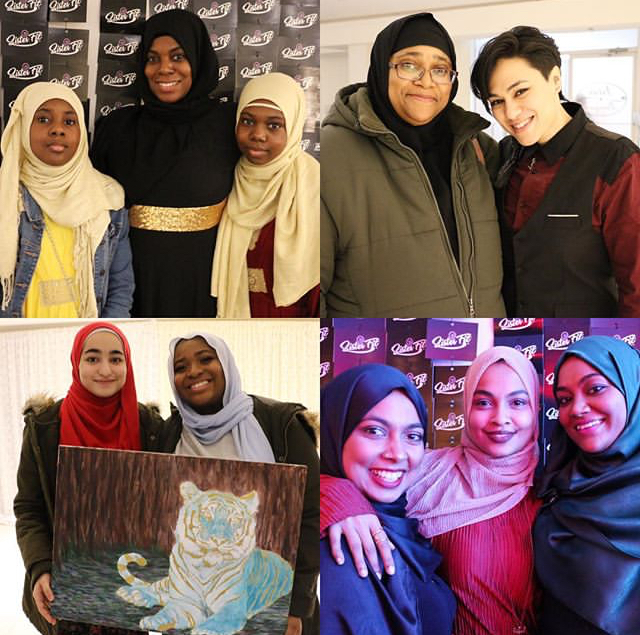 Sister Fit is a one-of-a-kind health, fitness, and self-defense program for Muslim women in the GTA. At Sister Fit, we teach women and girls how to take care of their physical and mental health through our interactive group fitness and nutrition sessions. Classes in boxing, Muay Thai, Arnis (weapons training), boot-camp style workouts, as well as nutrition talks keep participants learning and evolving while strengthening their faith and bond. 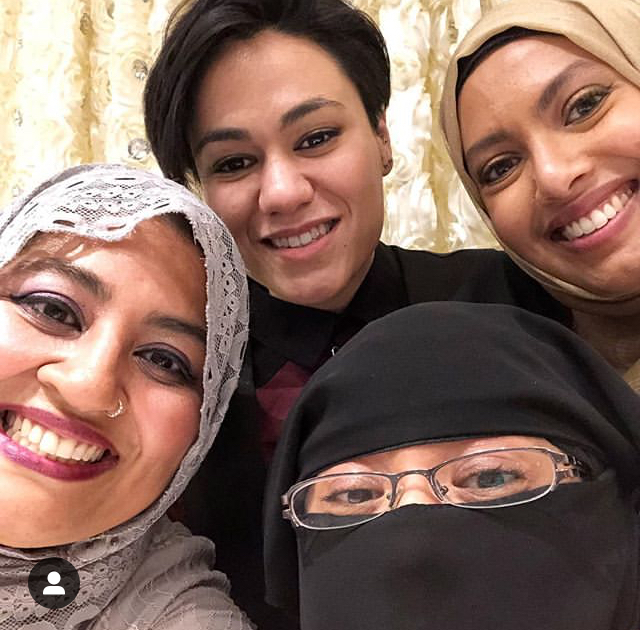 Sister Fit aims to provide a supportive and understanding environment for Muslim women to build confidence and self-esteem through athletic opportunities that provide an important mode of self-expression. Sister Fit fitness programs are sensitive to the unique cultural needs of Muslim women and ensure that participants feel confident and comfortable when learning new skills. Our fitness programs are catered to all fitness and skill abilities for women and girls ages 10 and up and are designed to benefit both advanced and beginner learners. See full schedule under Classes. Hoodies, t-shirts, track pants, and more! Get your own comfortable, quality Sister Fit gear. Check out our current catalogue! 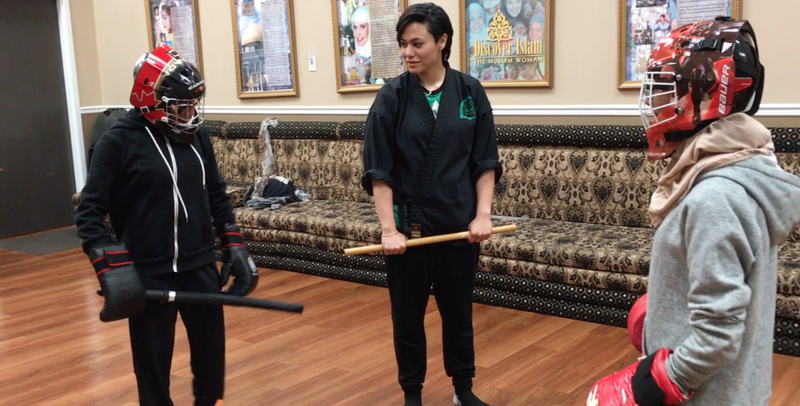 fours years of fitness and martial arts for muslim women! This year, Sister Fit celebrated its 4th year of serving women and girls in the GTA! On behalf of our Sister Fit Team and coaches, a big THANK YOU to the beautiful community of strong girls and women for supporting Sister Fit and celebrating this special evening with us! We couldn’t have done it without the support of our Gold Sponsors Istar Restaurant and Suffah Academy! We were so pleased to have among our esteemed guest speakers, the Honourable Kirsty Duncan MP, Minister of Sports & Science, Sr Saiema Din, Salima Jivraj and Ayesha Chatha who shared motivating talks on the importance of sports and fitness for women and girls. The super entertaining performance was by the very talented Madame Buskerfly. 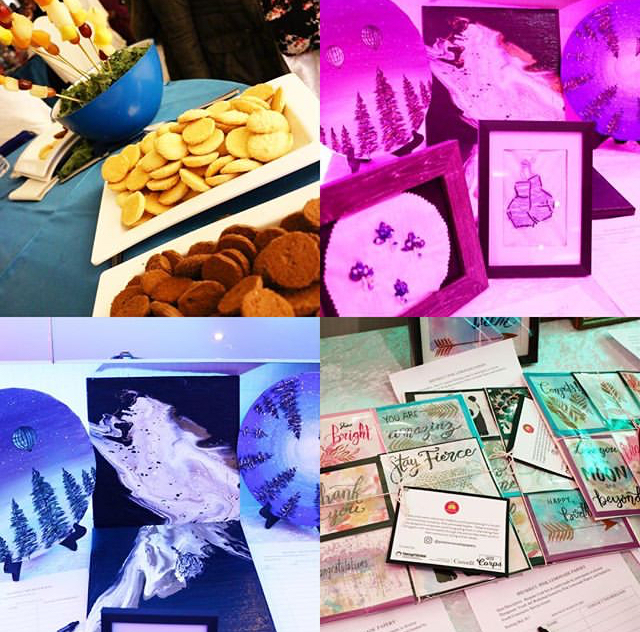 Many thanks to our Silver Sponsors for our Talent Show prizes and Silent Auction: Art by SWK, The Date Palm, Eastern Toy Box, Hijabi Mama, Black Orchid Official, Tea and Tulip Designs, Modah, Pink Lemonade Papery, and more! Thank you for four years of amazing resilience - here’s to many more years of learning and growing together! Register before March 3rd 2019. I am the Founder and Head Coach of Sister Fit and Connect Fitness and Martial Arts. 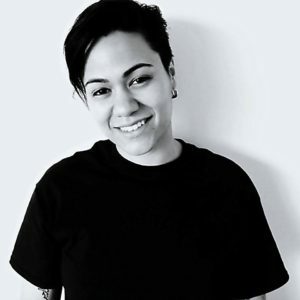 I am a full-time personal trainer and offer services from my studio in North York. I started Sister Fit because I wanted to connect with my faith and the Muslim community through something I love to do. You will find my coaching style to be consistently enigmatic! Keeping my students' eyebrows furrowed is one of my favourite pastimes. I like to keep my students on their toes - I hold them to a high standard and am dedicated to providing quality instruction that is challenging, but also suited to individual needs. I love to teach, give praise, and have fun. If I'm not laughing and having a good time, I'm going home! I'm a sister, wife, and mother of four. I have a passion for teaching and find great reward in being involved in other people's personal growth and development. It's amazing to see others progress and achieve the goals they've set for themselves while knowing I played a part in their betterment. Whilst homeschooling my children, I'm working towards becoming a certified personal trainer. I've always had an interest in fitness and martial arts, but growing up, it was never something girls were "supposed' to do. Training with Sister Fit rekindled this interest for me. With my love for martial arts and three years of boxing and arnis (stick fighting) experience, I'm excited to share what I've learned so far. I'm still learning and I'm thirsty to learn more. I feel as though each sister I meet and train with brings something new to the table and that gives me the opportunity to become a better coach for myself and for others. As a mother who wears many hats, I set an example for my children that learning never stops. It doesn't matter how old you are, or where you are in life - it's never too late to take on something new. I'm a competitive amateur boxer, boxing instructor, and a Professor in Disaster and Emergency Management at York University. I started boxing at the end of 2010 at Final Round Boxing in Ottawa, and from the moment I first hit the bag, I felt something stir inside me. Witnessing the dedication of all those around me, I instantly discovered that we all have some type of power deep within, and most of us don't know that it exists. Boxing has made me feel like a stronger person emotionally and spiritually. I believe that external strength and internal strength go hand in hand, and one augments the other. I love coaching and sharing my love of boxing with other women. The benefits of sport for self-confidence, self-esteem, discipline, teamwork, and physical fitness are innumerable. And, when we do things for ourselves, we have so much more to give to those around us. I'm a writer, educator, editor, and PhD student in English Literature at York University. I teach English at the School of Communication and Literary Studies at Sheridan College and love helping people explore their creative potential. While I spend most of my time reading, writing, researching, or teaching, I value the focus, discipline, and emotional benefits of athleticism. I admire women who pursue the rigour of sport with determined focus and have always wanted to embody that drive in my own life. For me, I find that drive and outlet in the simple act of running. This accessible and beginner-ready sport has provided me with a consistent physical challenge, and is an incredible source of mental and emotional peace. In the most wonderful of ways, it has also fueled my creativity - there's nothing like a run to help you problem-solve when you're facing a blank page! I admire the work of all the women involved in Sister Fit and look forward to continuing my support of its programming through writing and creative development. I am a wife, homeschooling mother of five, and a certified personal trainer. As a mother, I've found it challenging to incorporate a fitness regimen into my schedule, while homeschooling my children and pursuing my own studies on the side. I easily put myself on the back-burner and began to feel the effects of that on my health and well-being. When I began looking into various approaches to fitness, I found myself confronted with less than ideal situations that often misaligned with my values as a Muslim woman. Sister Fit classes provided an environment that was both comfortable and challenging. I signed my girls and myself up and the rest, as they say, is history. At Sister Fit, I was able to rekindle my love for boxing and learn arnis, a form of weapons-based martial arts native to the Philippines. In my journey towards a healthy lifestyle, I found myself inspired by Prophetic medicine. I've incorporated many herbs, cupping therapy, and essential oils into my family's life. I also enjoy making my own skin care products, and exploring the world of natural therapies. As a Sister Fit Coach, I look forward to continuing my growth as a personal trainer and hope to help other sisters achieve their personal fitness goals. .
"I feel inspired to push myself and motivated to work harder and come back even stronger each week. The coach creates a very positive and motivating environment - there's fun and enthusiasm and you always want to come back!" "I recently joined these classes based on a recommendation from an existing participant and I'm so glad I did! Sister FLG is incredible and I'm looking forward to increasing my strength (and getting a workout in!) in a safe environment for sisters." "I have been out of shape for a very long time. Joining Fatima's class has really built my confidence in being able to push my body to various limits. Thank you, Fatima!"